Tuna salad can be really boring but bringing life to it is very easy. 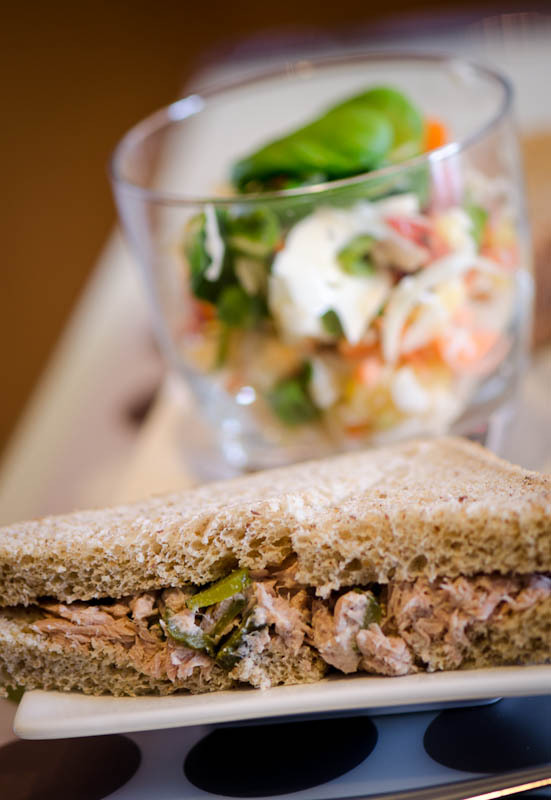 Some of our favourite ingredients to add to a can of tuna are: relish, minced pickles, capers, sour cream instead of mayonnaise, onions, dried cranberries, sliced tomatoes, spinach etc. Try using different kinds of bread to make it more interesting.